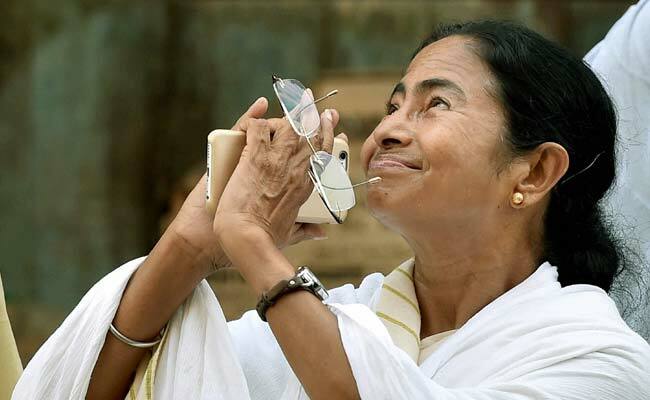 London / Kolkata: West Bengal Chief Minister Mamata Banerjee has unveiled a commemorative blue plaque at the London family home of Sister Nivedita, the Scottish-Irish social worker and follower of Swami Vivekananda best known for her charitable work in Kolkata. The house on Wimbledon High Street in south-west London was Sister Nivedita's home before she moved to Kolkata, then Calcutta, to set up a school and help the poor. "This is a rare privilege for us. Sister Nivedita, a daughter of this soil, was dedicated and devoted to India. Our country can never forget her," Ms Banerjee said at a ceremony to mark the unveiling yesterday. "We have an emotional relationship with England. Calcutta is a cultural capital of India and we maintain that heritage," she said, adding that she was touched by the ceremony which celebrates the bond between Kolkata and London like "brother and sister". "The plaque in memory of Sister Nivedita should be an inspiration to all. We at the Indian High Commission have started identifying all the places of interest across London associated with Indians and create a map for visitors to trace and feel proud," noted Dinesh Patnaik, India's acting high commissioner to the UK. 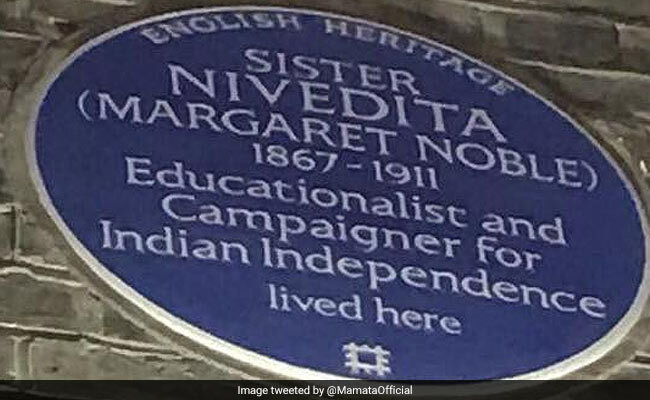 "Sister Nivedita (Margaret Noble) - Educationalist and Campaigner for Indian Independence lived here," is the inscription by English Heritage for the blue plaque unveiled to coincide with her 150th birth anniversary this year at 21A Wimbledon High Street. Ms Banerjee was invited by the Ramakrishna Mission and followers of Sister Nivedita in the UK. Born Margaret Elizabeth Noble, the name Nivedita or 'the dedicated one', was given to her by Swami Vivekananda whom she accompanied to India in 1898. There she served the poor in Bengal during times of flood, plague and famine and was a very vocal campaigner against the partition of Bengal, proposed by the British in 1905. She later also travelled back with Swami Vivekananda from India to London, arriving at 21A High Street in Wimbledon on July 31, 1899. Swami Vivekananda stayed at the home for a couple of nights while Sister Nivedita and her family found him lodgings nearby. The house remained Sister Nivedita's family home until January 1902. "Sister Nivedita wasn't recognised by Indian historians for her contribution to the Freedom Movement. We are happy that English Heritage is recognising her contribution in the areas of education and as a campaigner of Indian Independence on her 150th birth anniversary for the first time on English soil," said Sarada Sarkar, a London-based teacher who led the campaign to get the blue plaque installed in memory of Sister Nivedita. "This is an inspiring occasion celebrating an extraordinary woman," said Anna Eavis of English Heritage. Sister Nivedita's residence in Northern Ireland, where she was born, has already been marked with a blue plaque by the Ulster History Circle.